HOTERY PRODUCTS CORP. was integrating manufacturer, supplier and exporter. With our abundant experience and industrious and hardworking staff members, we can meet various requirements from different types of customers. 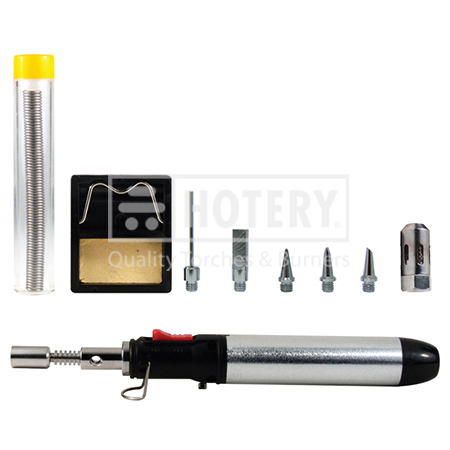 We are mainly engaged in Butane Pencil Torch, and our products sell well in Taiwan. We conduct strict quality inspections over each batch / product. We will try our best to serve you and hope to become one of your friends and business partners. 5. Accessories: hot blower. needle tip. poly foam cutter. hot knife. double sharp. 2.4mm solder head. scoop. solder and safety stand.